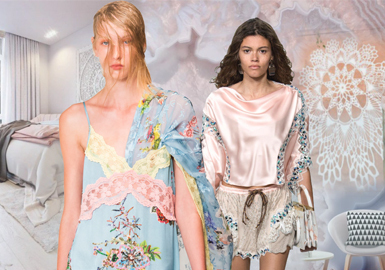 Do you know which lace is suitable for loungewear, and how to create an upscale feel? Bi-color, colorful, soft eyelash and water-soluble laces show charm in different cutting. Loungewear in lace and silk reflects a luxurious yet slouch quality.